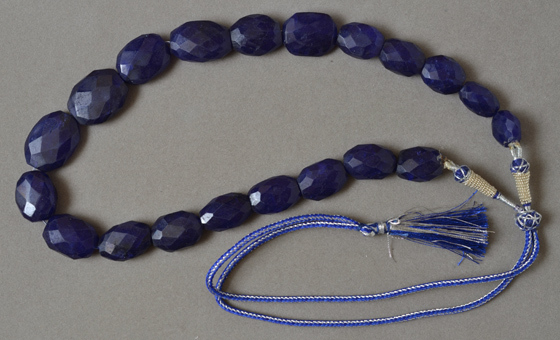 Graduated strand of sapphire flat oval beads. This is opaque Indian sapphire of semi precious bead quality meaning it is mixed with other minerals. They have been removed from the ornate cord shown here and strung on ordinary thread. Must be restrung for wearing. The beads are rubbed with dyed olive oil to enhance color.